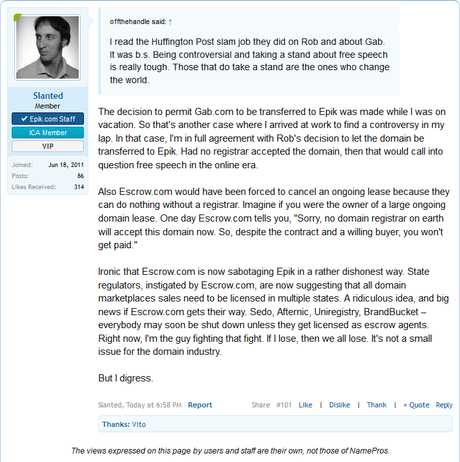 In a thread on Namepros about Rob Monster and Epik, Joseph Peterson posted an interesting tidbit, one that if it plays out as Joseph speculates it could, will affect all the big players in the domain aftermarket space and domain investors as well. The history starts on another thread, it’s very long and you can read it at your leisure if you desire. The short version was a thread that was focused on Epik’s escrow was questioned by Jackson Elsegood of Escrow.com. Jackson asked if Epik was a licensed escrow agent? The thread goes back and forth, and I will leave it to you to make up your own mind. Now this just came out and I would like to hear Sedo, GoDaddy,BrandBucket and the others weigh in. Sedo TOS says the following: The Domain Transfer and Escrow Service offers users Sedo’s assistance with the purchase and transfer of Domains. 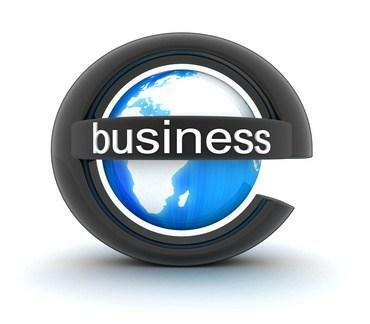 Sedo acts here neither as a buyer or seller, nor as the representative of a buyer or a Seller, nor as a broker. Sedo acts as a secure technical and financial intermediary and will hold the purchase price in escrow for the Buyer while the Seller transfers the Domain. Upon conclusion of the Domain transfer process, Sedo will release Buyer’s funds from escrow and forward the purchase price to the Seller, less applicable fees.